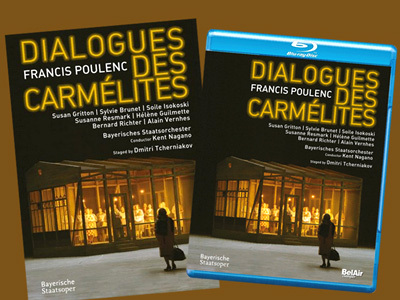 MUNICH — BelAir Classiques and Mezzo TV have succeeded in getting a ban overturned on their sale and airing, respectively, of a 2010 filmed staging of Dialogues des Carmélites made here at Bavarian State Opera. The ban, or arrêt, had been imposed in 2015 by the Cour d’appel in Paris following a complaint by heirs of Francis Poulenc and the opera’s source novelist Georges Bernanos. In that court’s judgment, “the staging by Dmitri Tcherniakov realizes in its final scene a dénaturation of the [opera] and thus infringes the moral rights of authors attached to it.” Dénaturation translates as adulteration or falsification. Indeed the Russian director substitutes in the climactic scene a deadly gas blast and one self-sacrifice for the serial guillotining of the titular nuns laid out graphically in Poulenc’s music. But France’s higher Cour de cassation saw the case differently in its June 27 ruling, according to BelAir and Mezzo attorney Judith Adam-Caumeil of Cabinet Adam-Caumeil, a law firm specialized in Franco-German business. It overturned the ban, she said, because no alteration had been made to libretto or score and the Cour d’appel had admitted that the opera’s essential themes, such as hope, martyrdom, grace, and the communion of saints, dear to Bernanos and Poulenc, had been respected. Not at issue was copyright, even with Dialogues remaining rights-protected in Europe and America, although this status kept BStO and its director from tampering with the words and music. BStO joined in appealing the ban. Dialogues most recently appeared on the company’s National Theater stage early last year, in defiance of a letter from the heirs (but not of the ban), and will in 2020 return, said BelAir distributor Naxos in an Aug. 4 statement. BelAir and Mezzo can now profit from the content as before, and Naxos early this month relaunched BelAir’s DVD along with a new Blu-ray edition. This entry was posted on Friday, August 18th, 2017 at 2:02 pm	and is filed under Munich Times. You can follow any responses to this entry through the RSS 2.0 feed. Both comments and pings are currently closed.